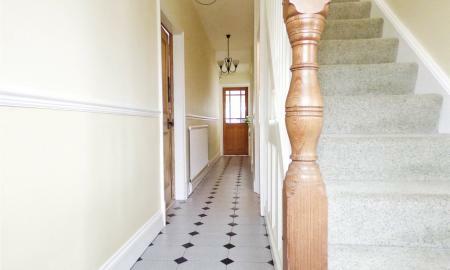 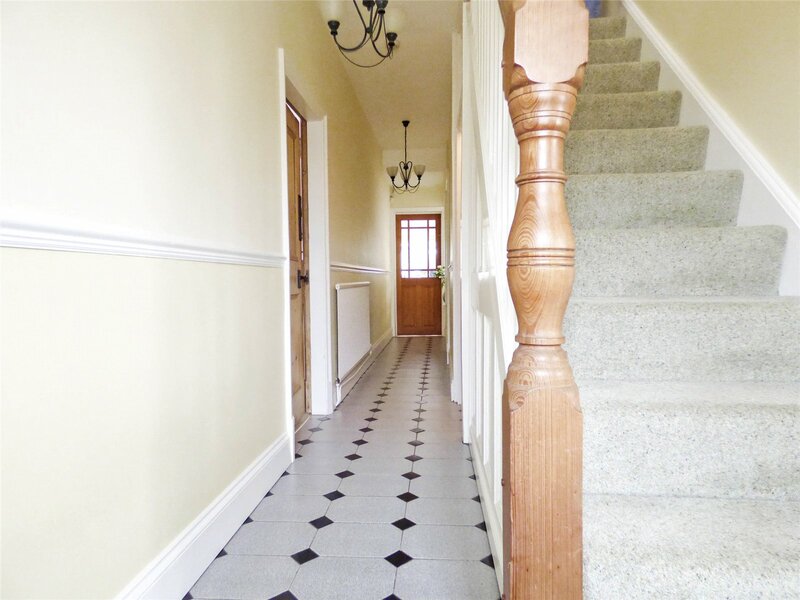 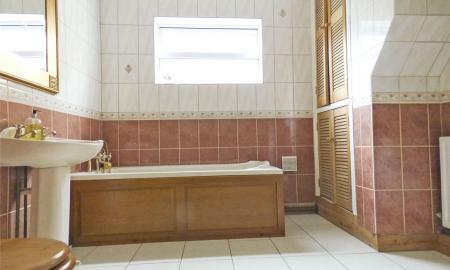 Enter into this warm and welcoming hall which has tiled flooring and a staircase rising to all first floor accommodation. 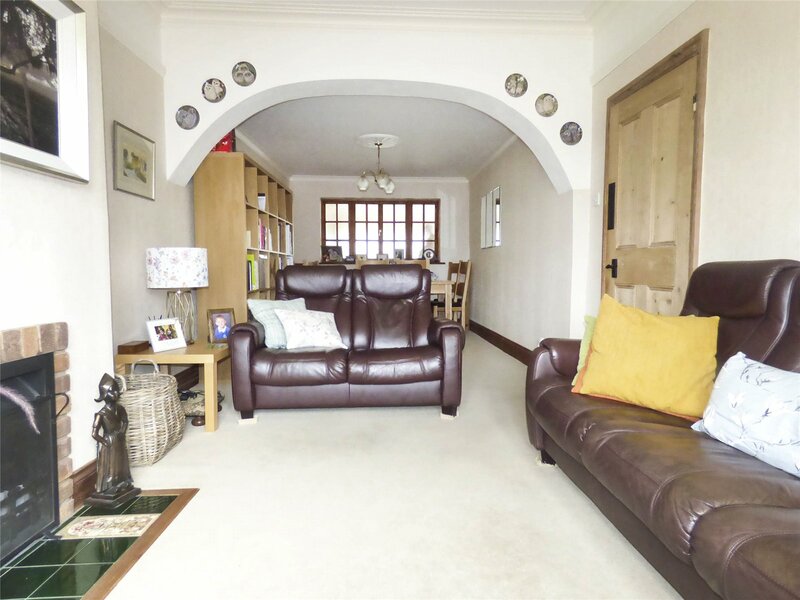 A spacious lounge with bow window to the front allowing lots of natural light to flood in, the focal point being the lovely open fire to enjoy cosy nights in. 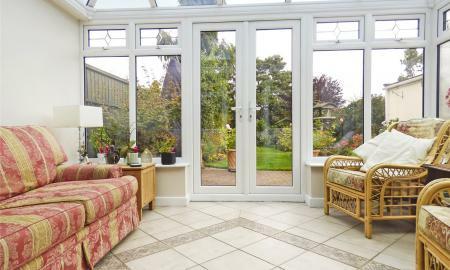 Opening from the lounge there is a glazed window and ample room for a full sized dining table and chairs . 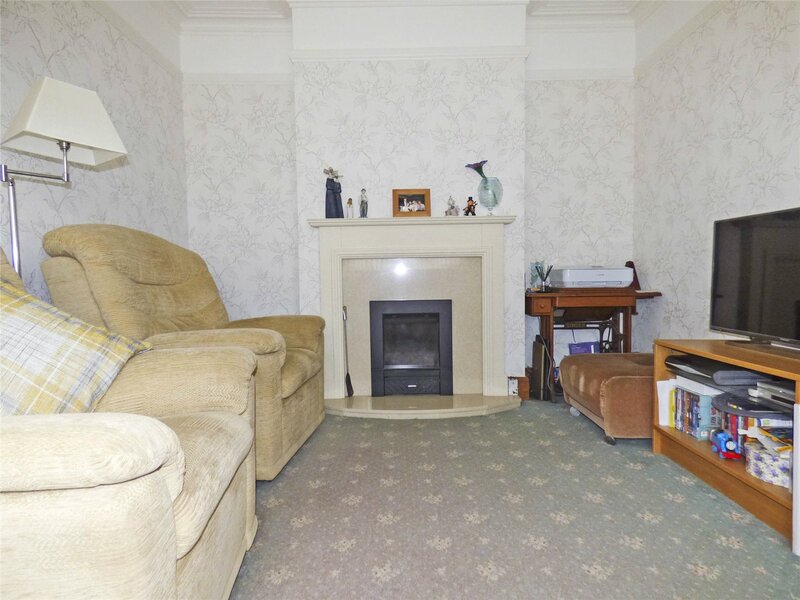 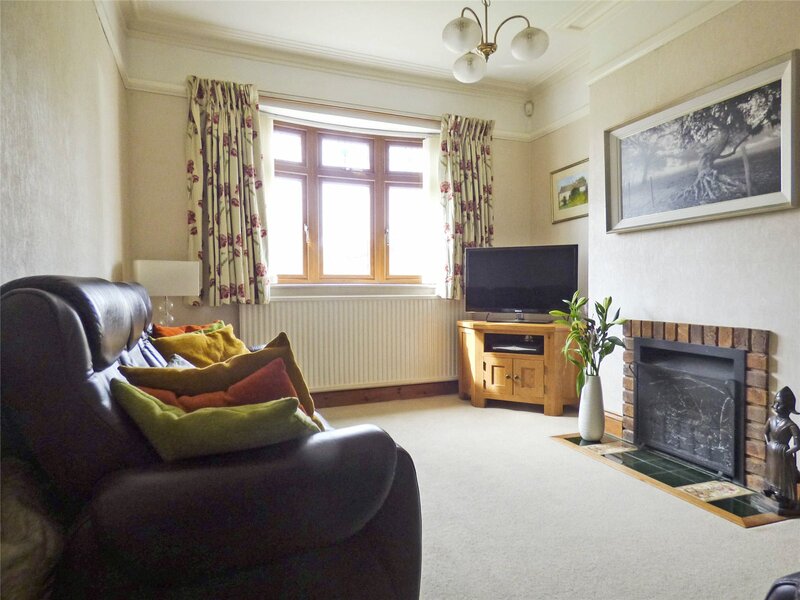 4.0m x 3.3m (13'3" x 10'8") This snug is currently being used as a TV room, could be used as a work from home office With a bow window to the front and limestone feature fireplace housing a gas fire. 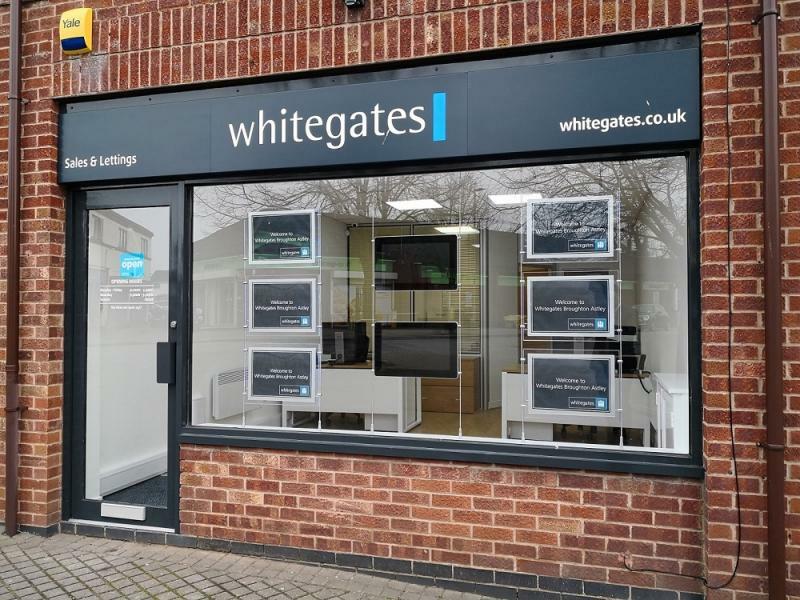 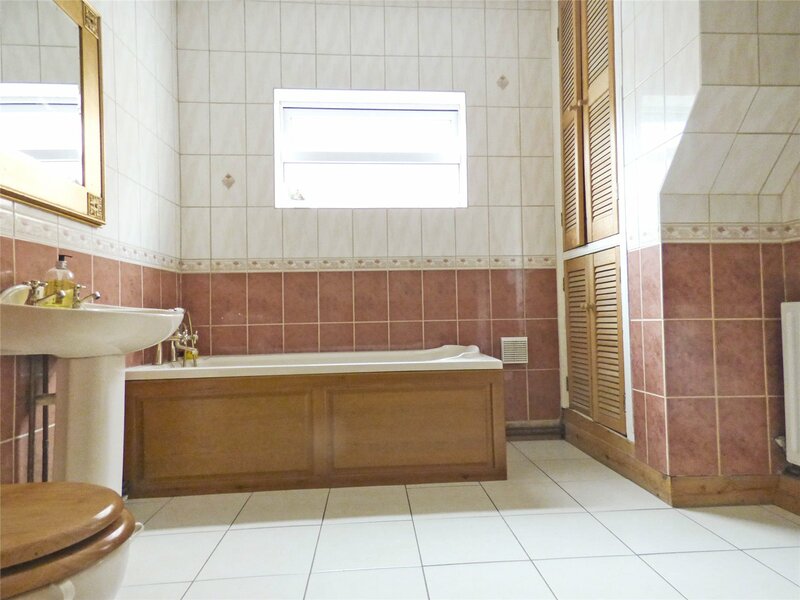 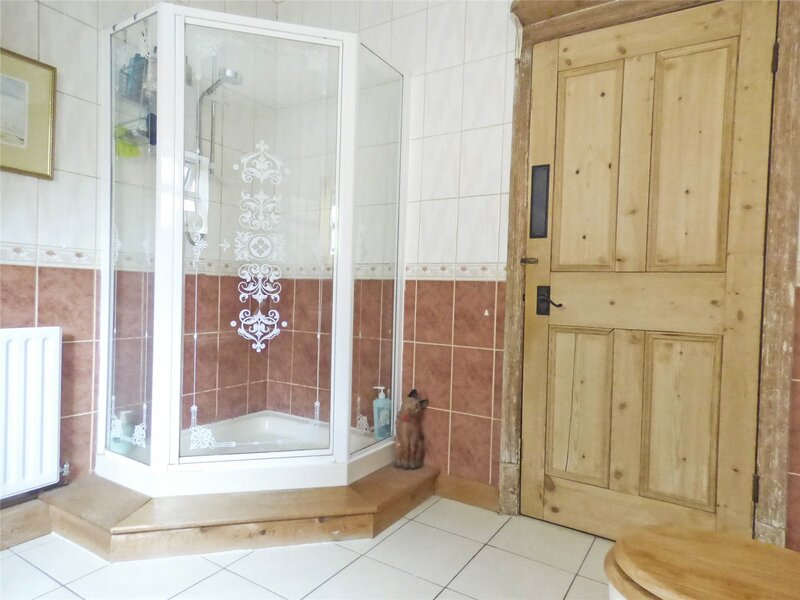 3.0m x 2.7m (9'10" x 9') A generous ground floor bathroom which has ceramic wall tiling and a suite comprising, low level wc, wash hand basin, bath, corner shower enclosure, ceramic wall and floor tiling. 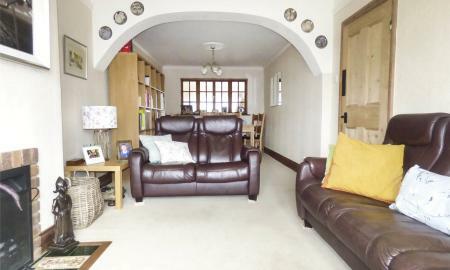 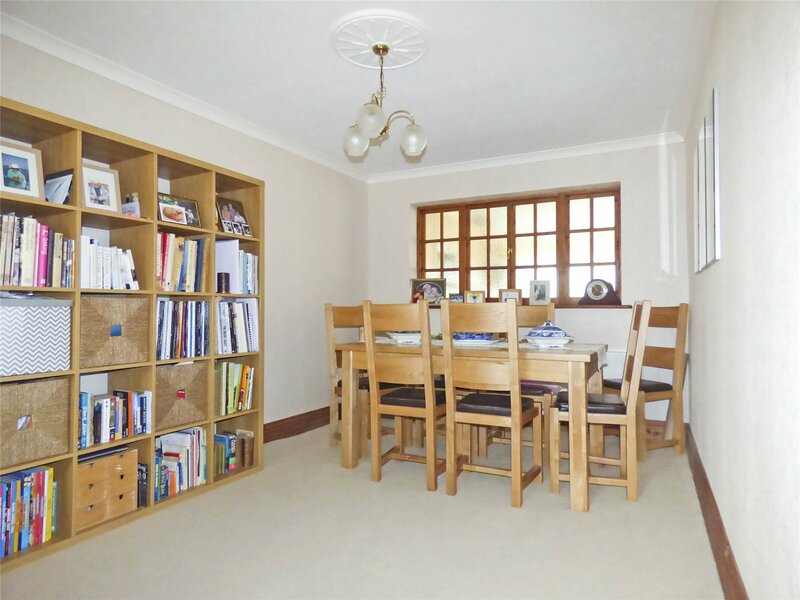 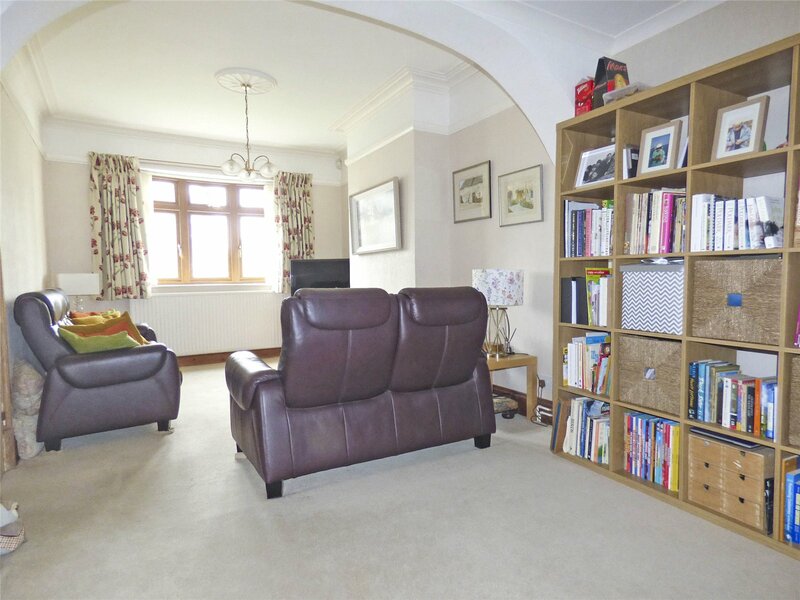 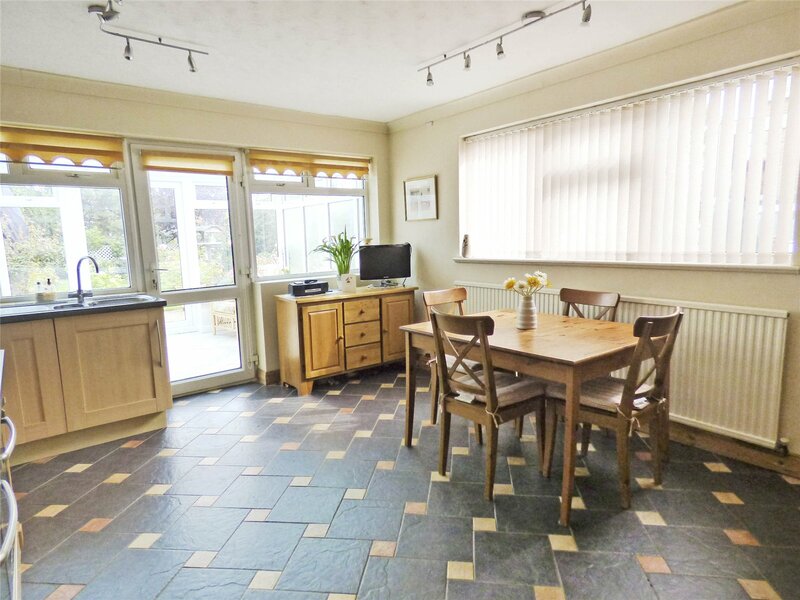 5.2m x 3.8m (17' x 12'7") A great family living space which is situated at the back of the property and opens into the conservatory enjoying views over the gardens. 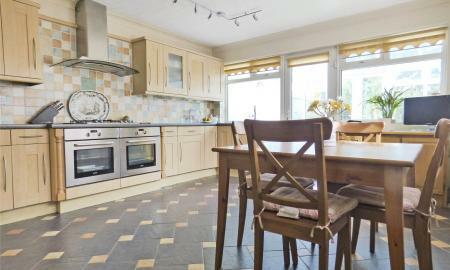 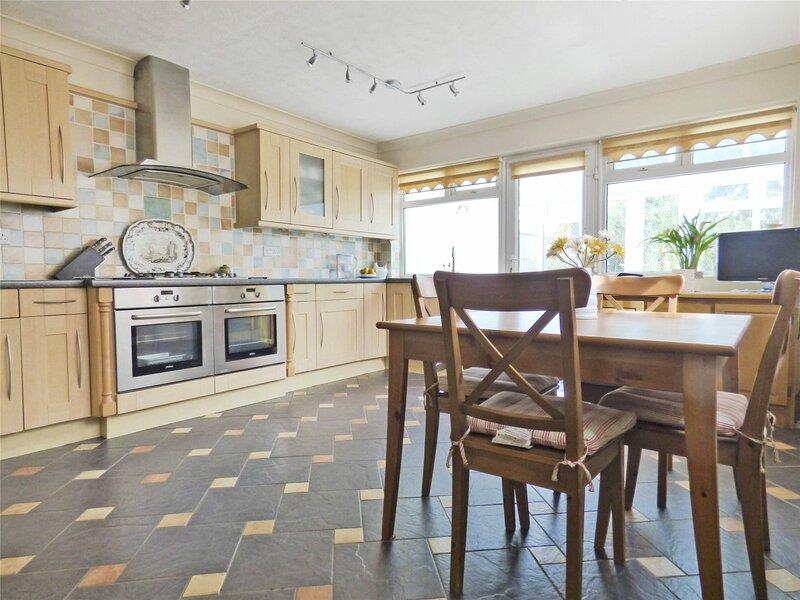 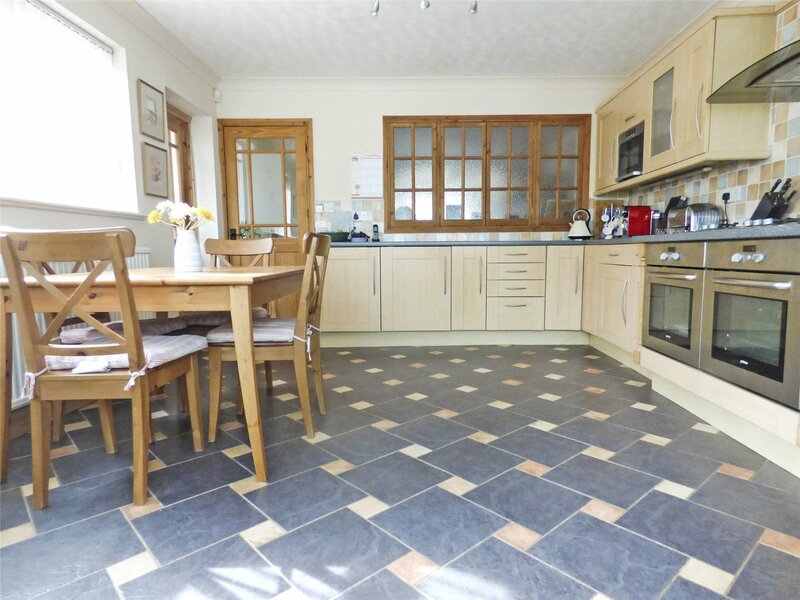 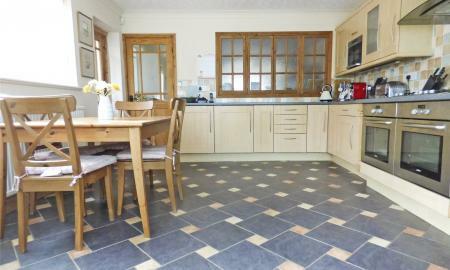 Fitted with a wide range of cabinets, double built under ovens with five burner hob and extractor canopy, integrated dishwasher, fridge freezer, built in microwave, ceramic floor tiling and door leads to the utility room and also into the conservatory. 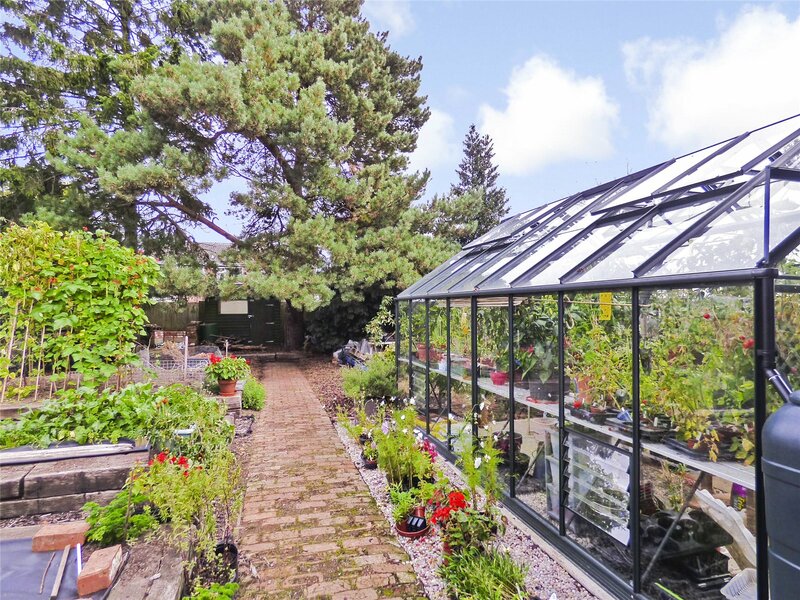 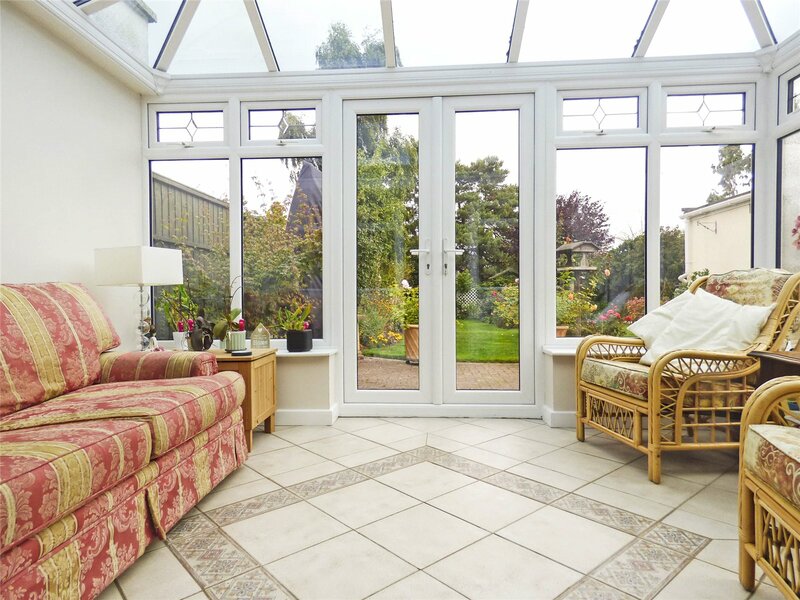 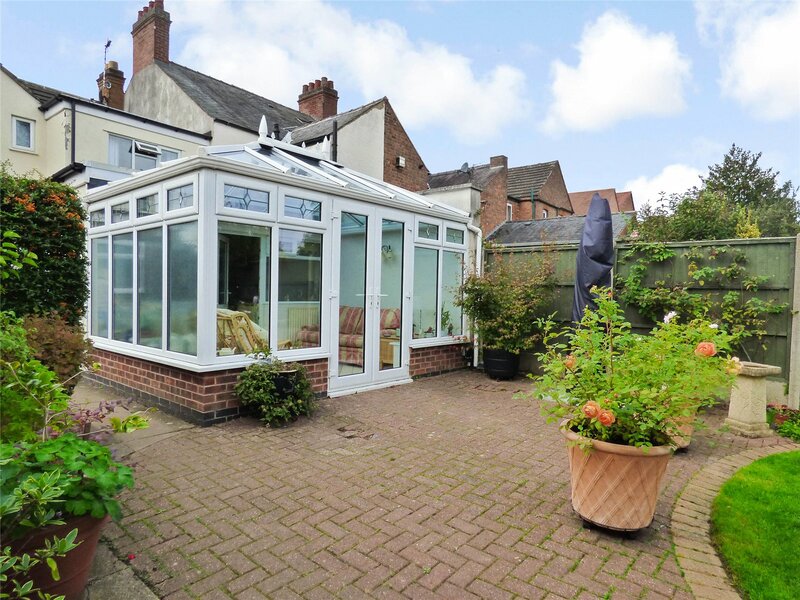 4.1m x 3.0m (13'4" x 9'9") This superb conservatory has a radiator, ceramic flooring, a self-cleaning tinted glass roof and a set of French doors open into the rear garden. 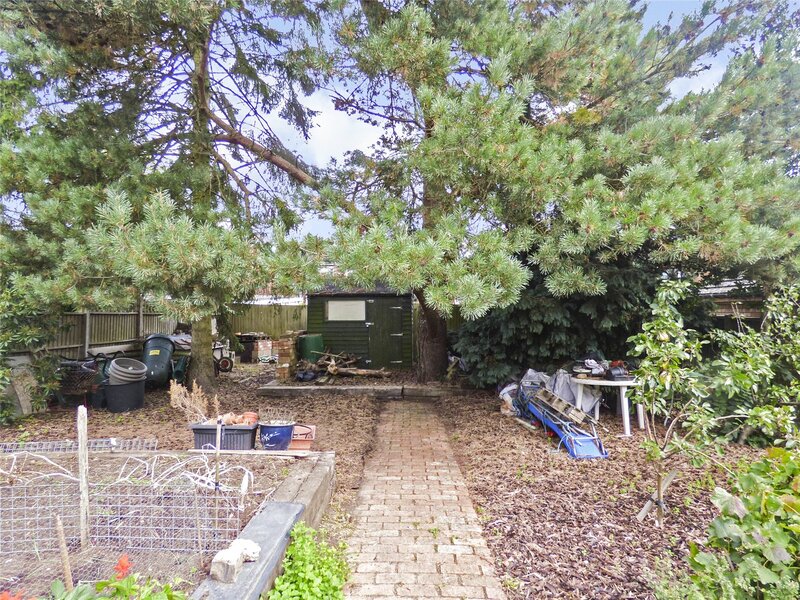 2.8m x 2.1m (9'3" x 7') Fitted with cabinets, space for washing machine, tumble dryer, a window to the side and door giving access to the rear of the property . 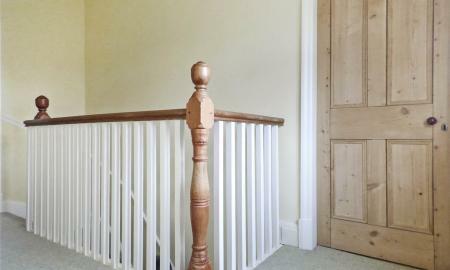 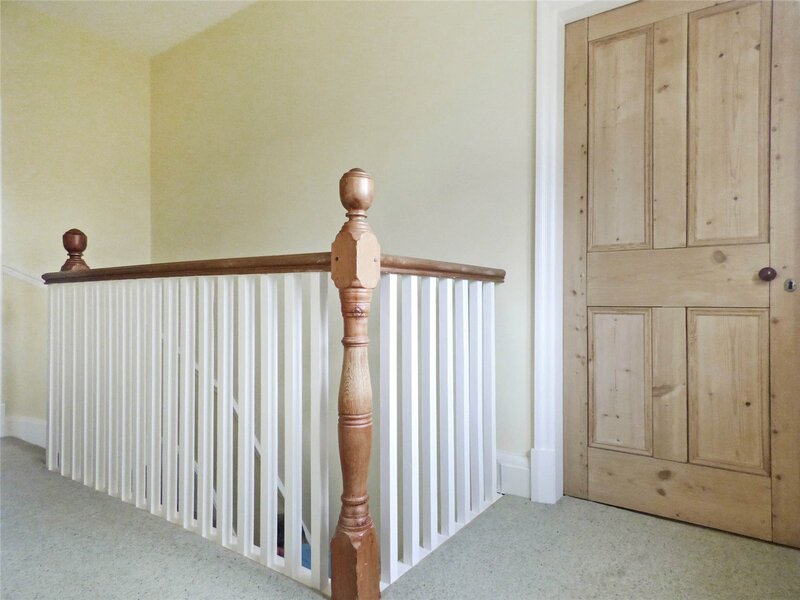 A galleried landing giving access to all first floor accommodation, with a window to the front and loft access. 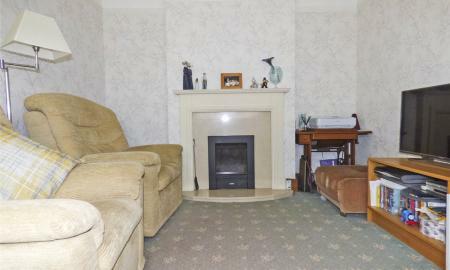 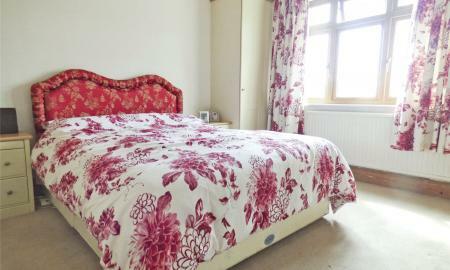 3.7m x 3.3m (12'2" x 10'9") A double bedroom with window to the front is fitted with a range of "Hammond" furniture. 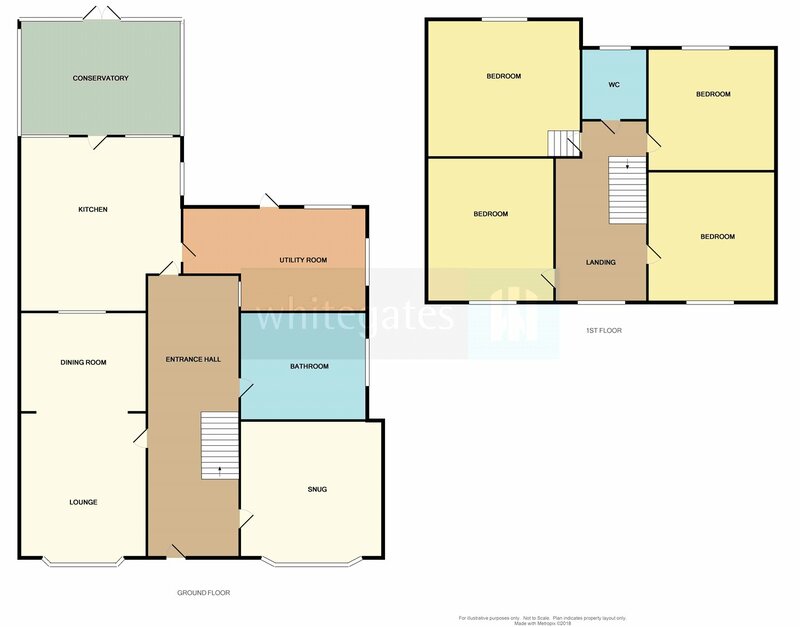 4.0m x 2.8m (13' x 9'2") A double bedroom with window to the front and a range of built in wardrobes. 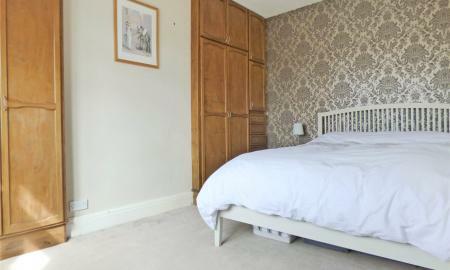 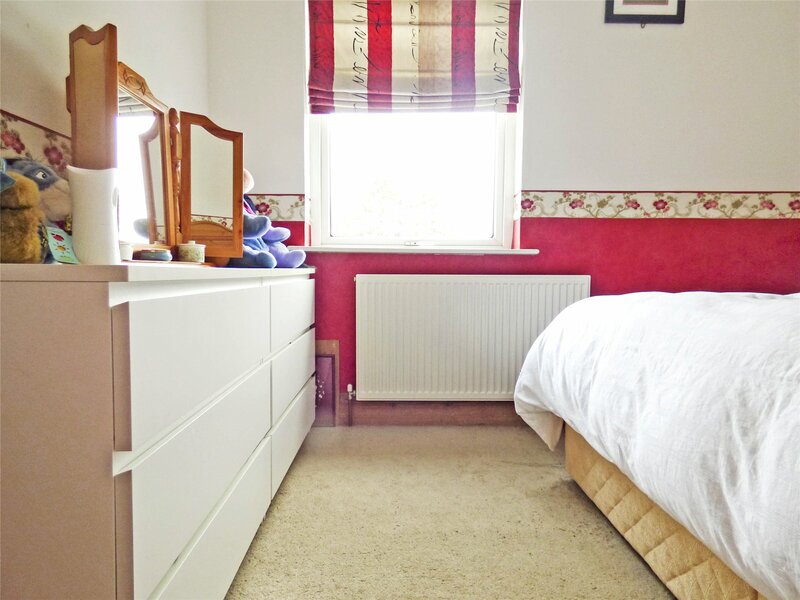 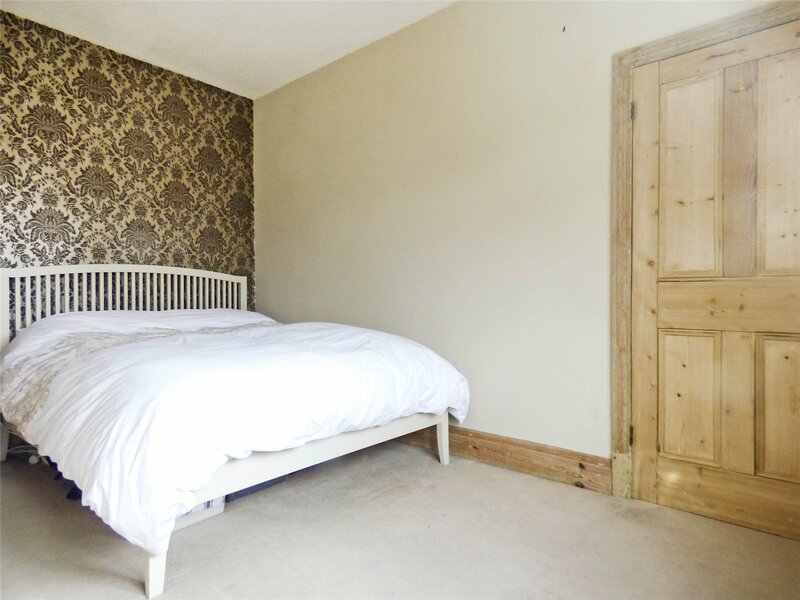 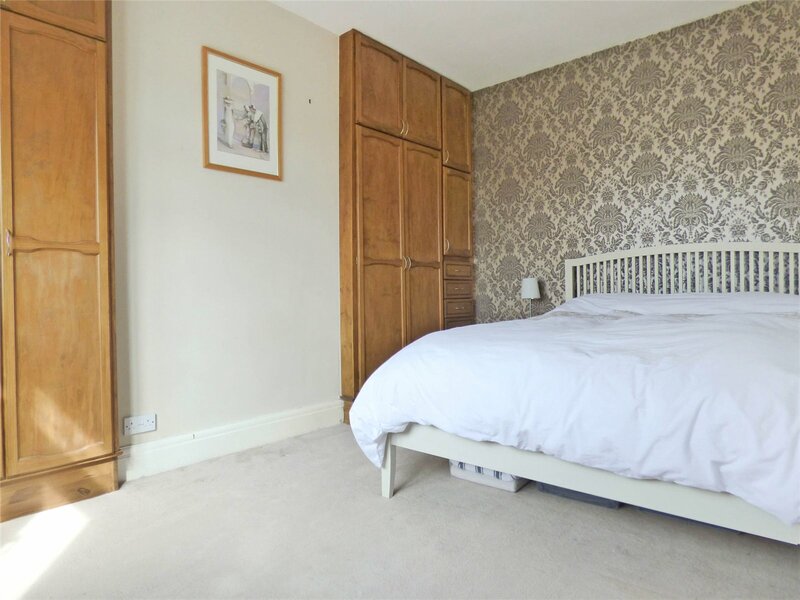 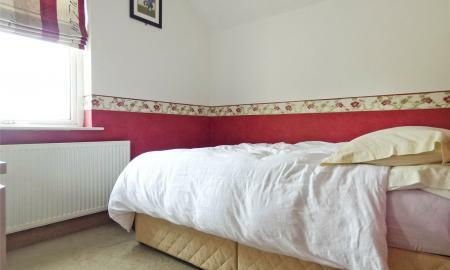 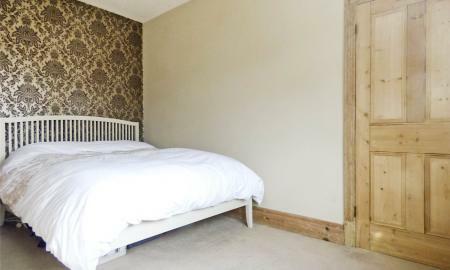 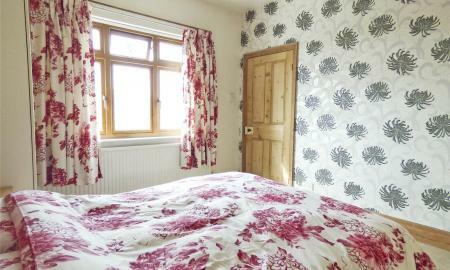 3.7m x 2.8m (12'2" x 9'4") A double bedroom with a window overlooking the gardens and a range of "Hammond" bedroom furniture. 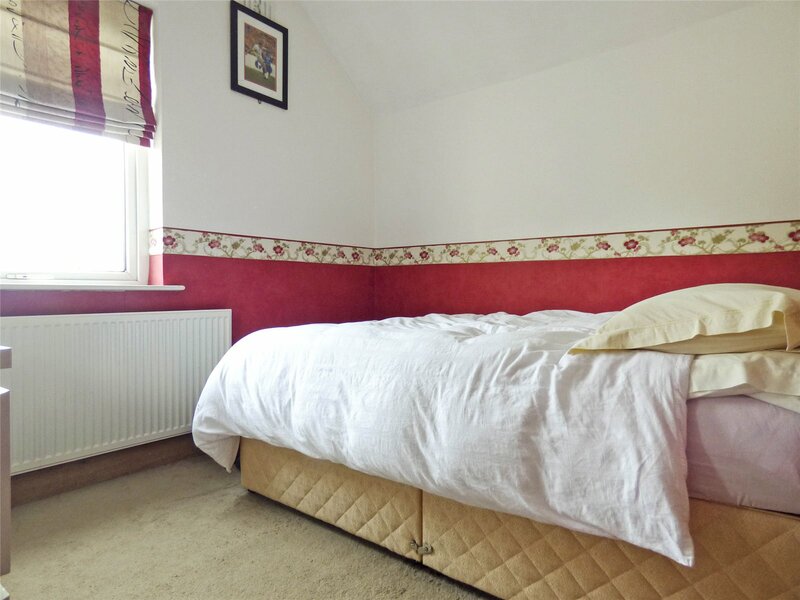 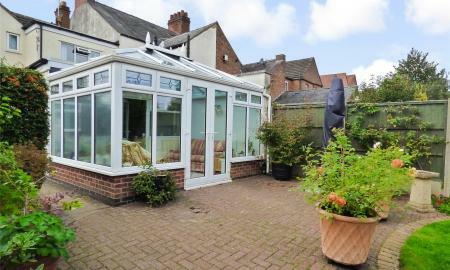 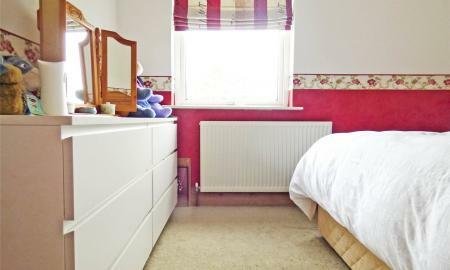 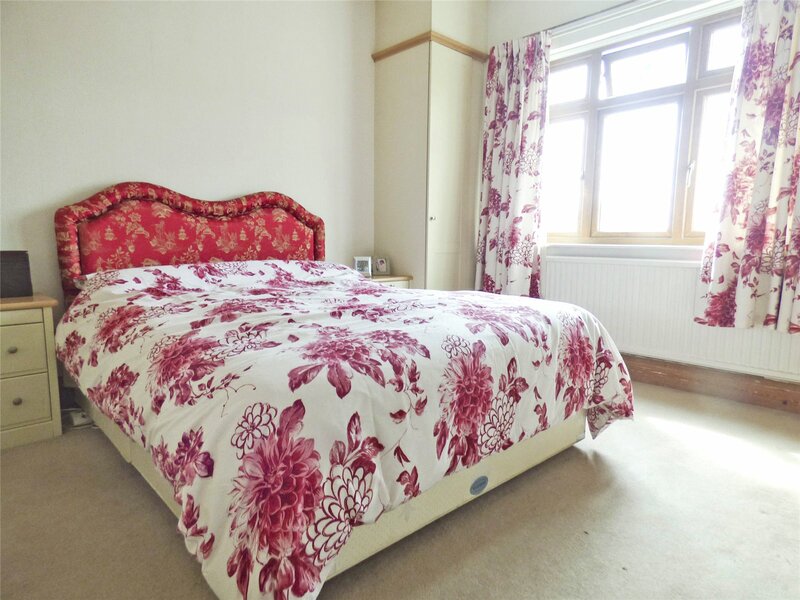 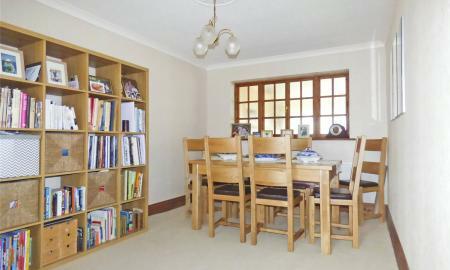 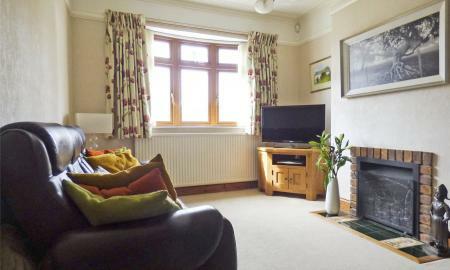 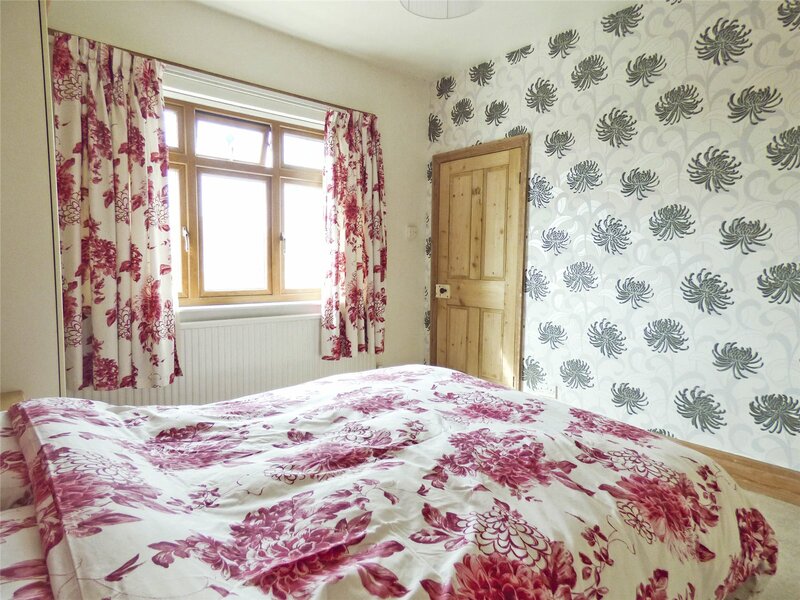 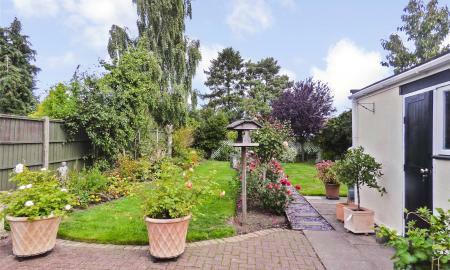 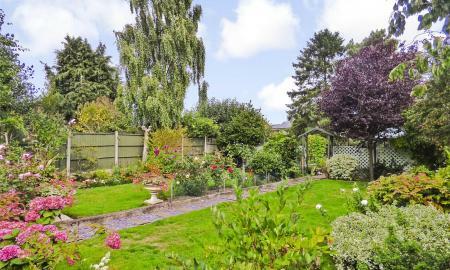 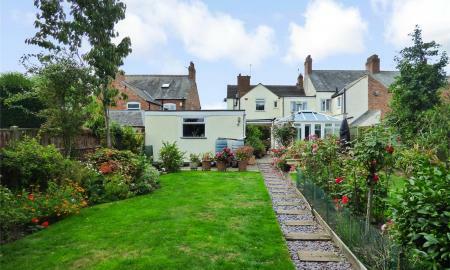 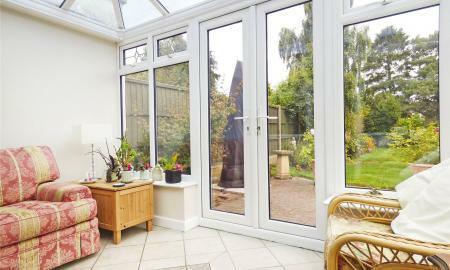 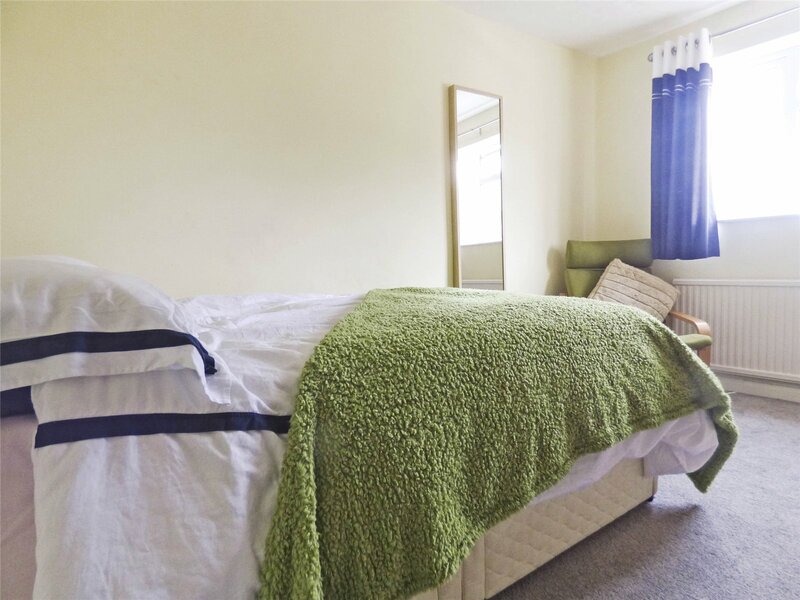 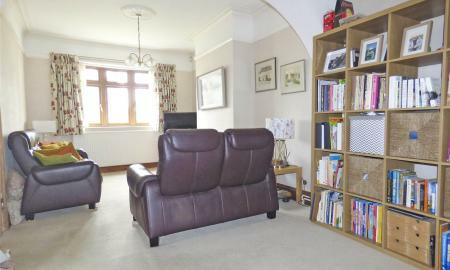 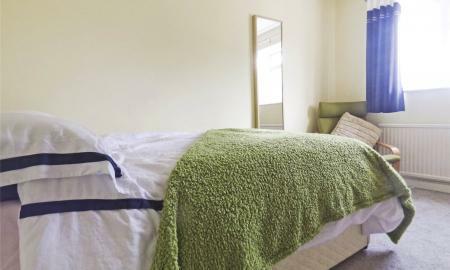 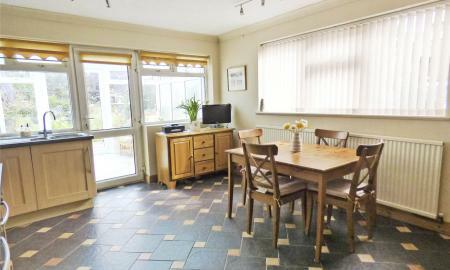 2.9m x 2.4m (9'6" x 8'0") A double bedroom with a window overlooking the gardens. 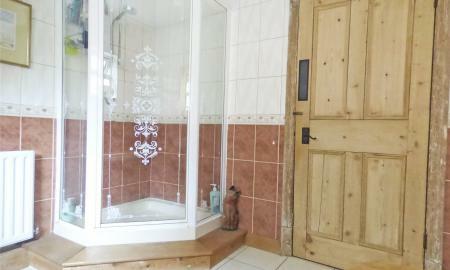 Fitted with a low level WC and handwash basin. 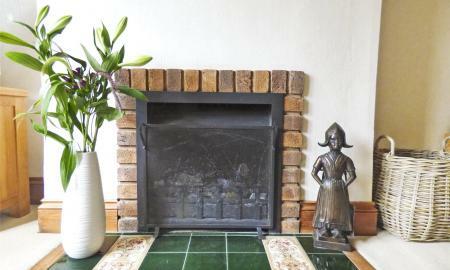 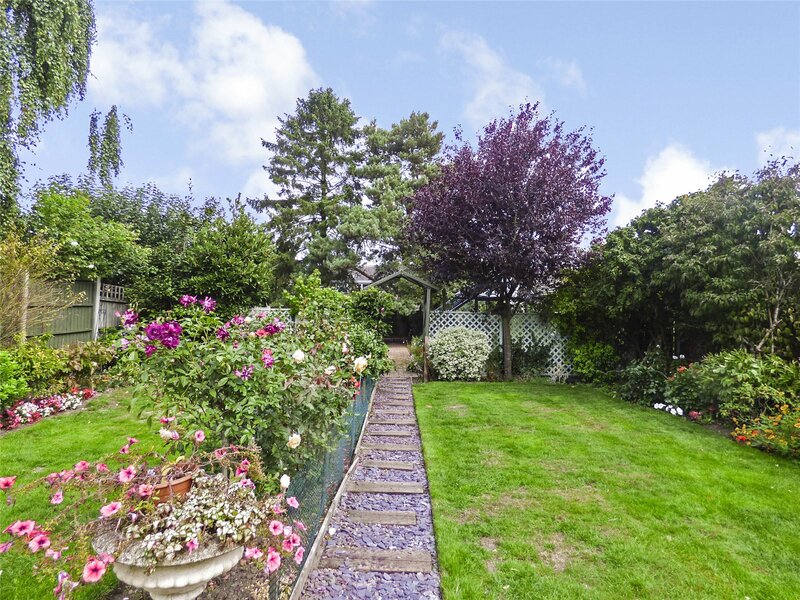 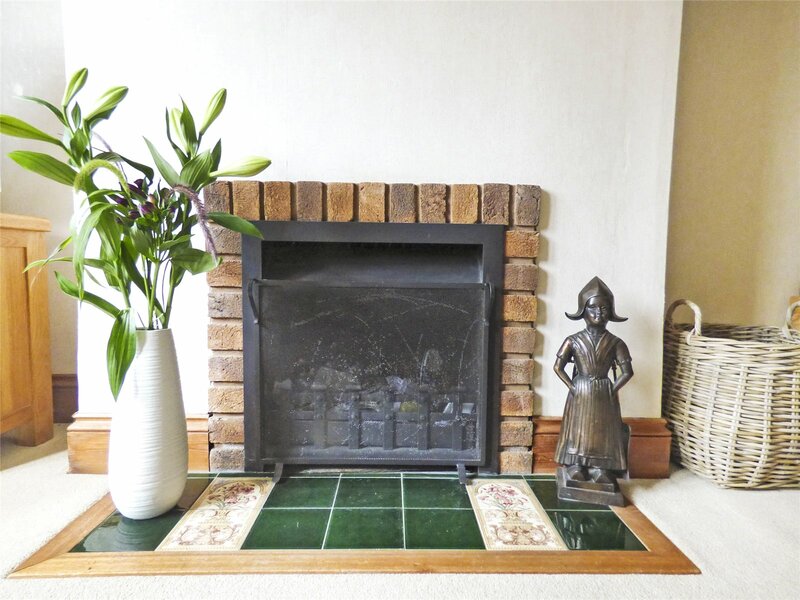 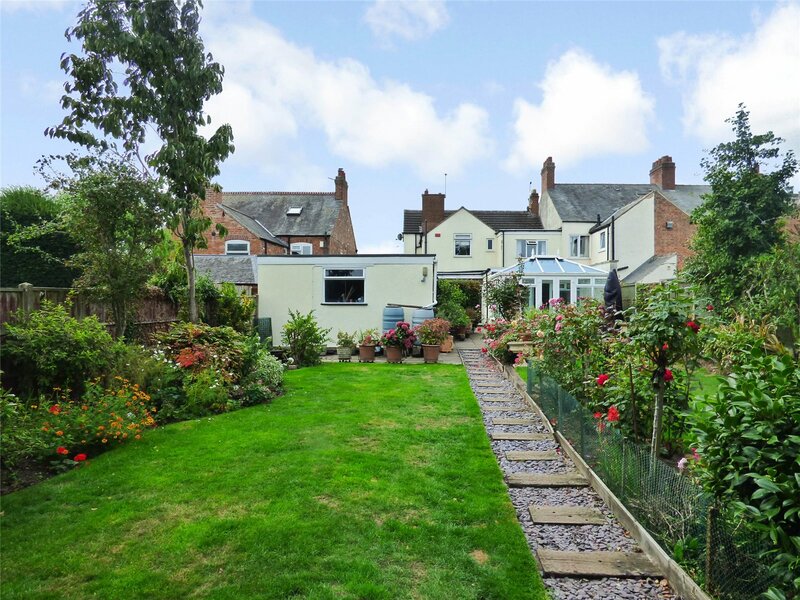 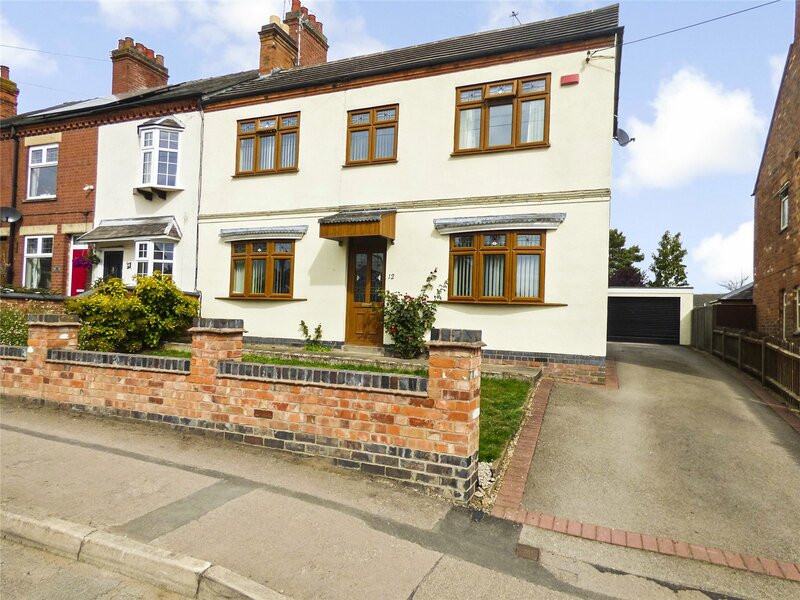 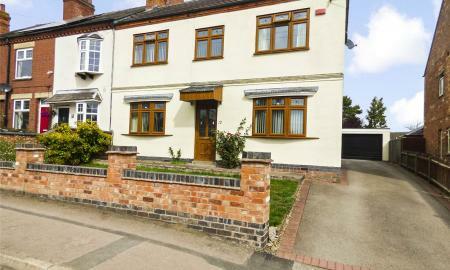 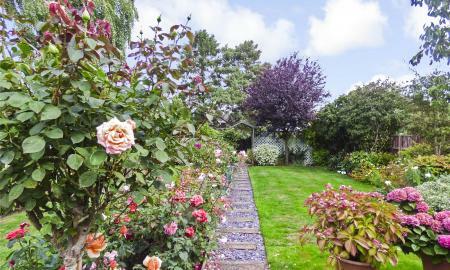 This lovely home is framed by a reclaimed dwarf brick wall with a pretty fore garden which is laid to lawn with shrub borders the drive to the side provides ample parking for at least four vehicles and leads to the detached garage and gated access to the gardens. 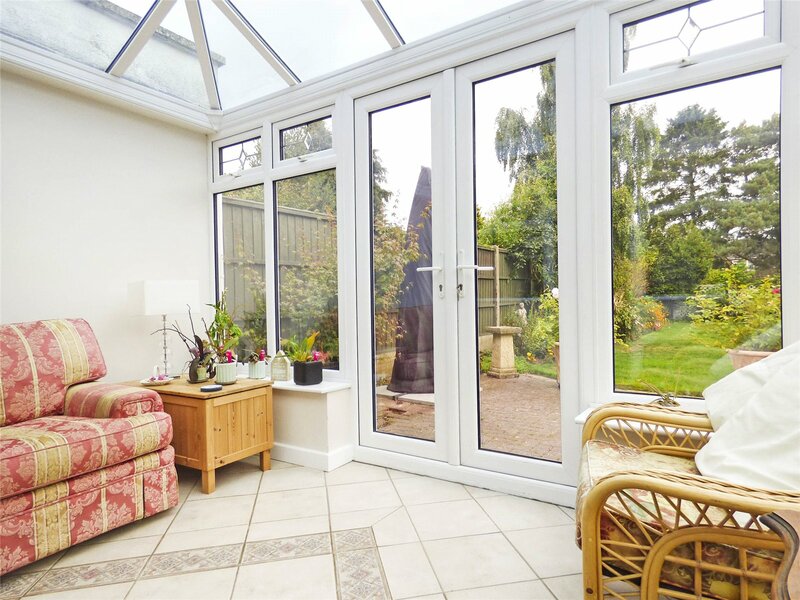 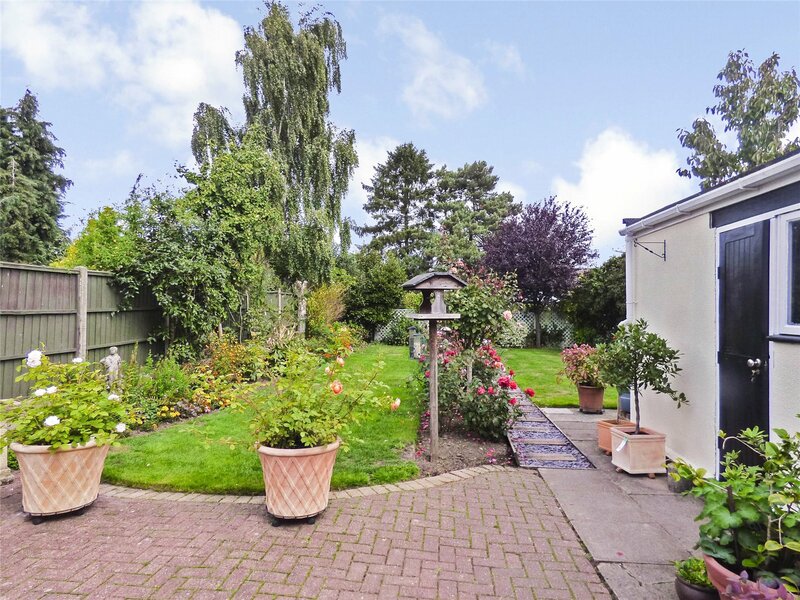 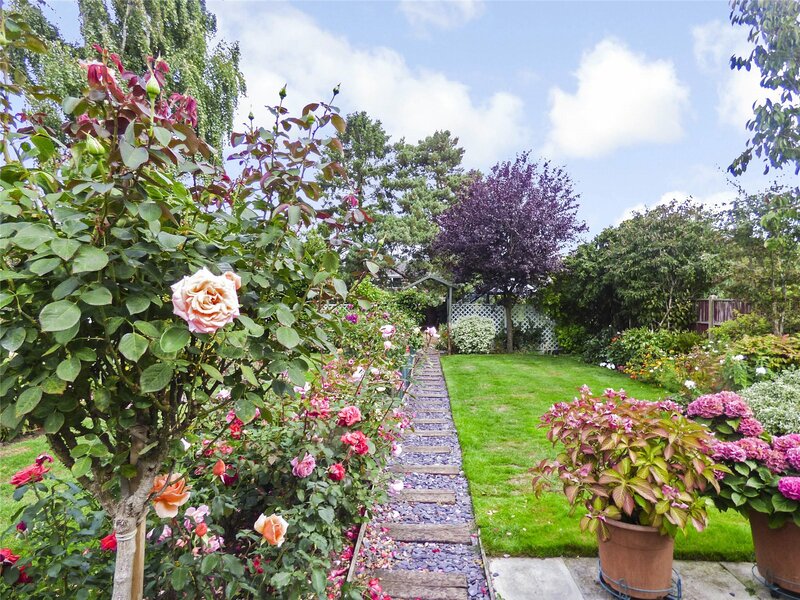 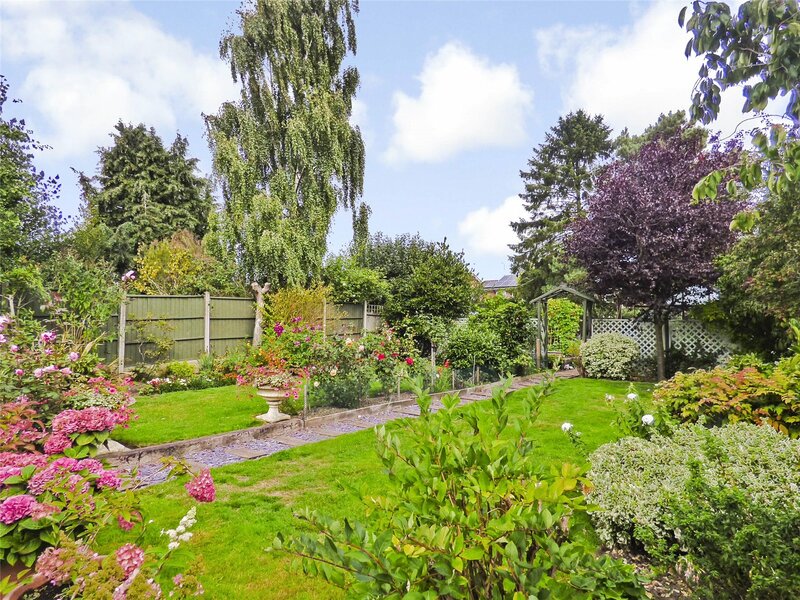 A truly lovely private and mature garden mainly laid to lawn which is surrounded by well stocked plant and shrub borders, a patio seating area is situated by the conservatory which is ideal to enjoy al fresco dining and taking in the views over the gardens. 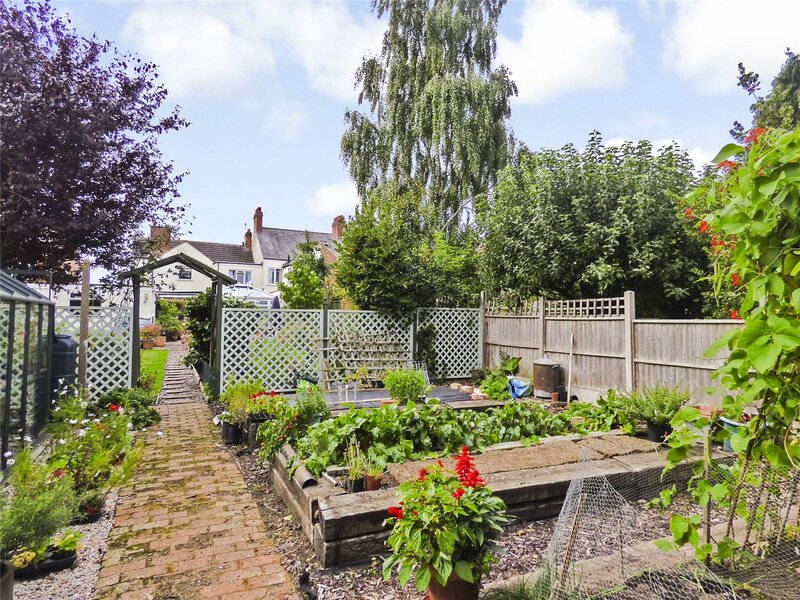 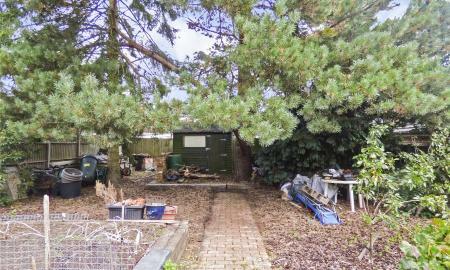 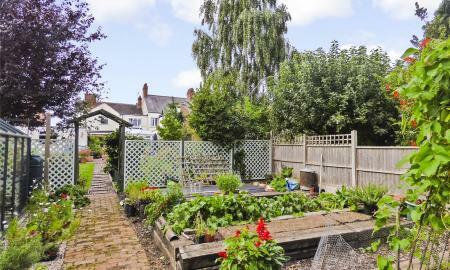 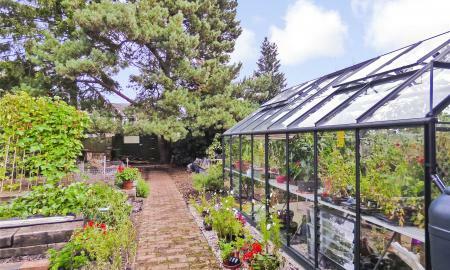 Towards the bottom of the garden there is a vegetable growing plot with two garden sheds and a greenhouse. 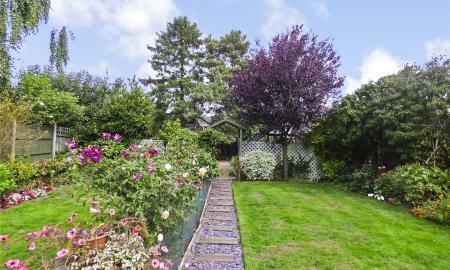 A set of double wrought iron gates lead to the side of the property.